On a budget? Want DIRECTV without a credit check or contract? No problem. Introducing DIRECTV Now. DIRECTV Now is a streaming TV service that requires an internet connection and a streaming device like Amazon Fire TV, Fire TV Stick, Apple TV, Google Cast or Chromecast devices. DIRECTV NOW is also available to stream on most portable devices, smartphones, tablets and computers. View compatibility list. A&E, AMC, Animal Planet, Audience Network, AXS TV, Baby First, BBC America, BET, Bloomberg TV, Bravo, C-SPAN, C-SPAN2, Cartoon Network, CMT, CNBC, CNN, Comedy Central, Crime & Investigation, Discovery, Disney Channel, Disney Junior, Disney XD, E!, ESPN, ESPN2, Food Network, Fox Business Network, Fox News Channel, Fox Sports 1, Freeform, FX, FXX, Galavision, Hallmark Channel, Hallmark Movies & Mysteries, HGTV, History, HLN, Investigation Discovery, Lifetime, MSNBC, MTV, MTV2, National Geographic Channel, Nick Jr., Nickelodeon/Nick at Nite, Pursuit Channel, RFD-TV, Spike, Syfy, TBS, TCM, TeenNick, TLC, TNT, truTV, TV Land, Univision, USA Network, Velocity, VH1, Viceland, WE tv, WeatherNation. Everything in “Live a Little” (except Hallmark Movies & Mysteries) plus Big Ten Network, CNBC World, Comedy TV, Cooking Channel, ESPNews, ESPNU, Fuse, Fusion, GSN, IFC, LMN, MLB Network, NBC Sports Network, Nicktoons, OWN, Science, SEC Network, Travel Channel, UniMás, Weather Channel, WGN America. Everything in “Just Right” plus American Heroes, BBC World News, Centric, Destination America, Discovery Family Channel, Discovery Life, DIY Network, FM, Fox Sports 2, FX Movie Channel, fyi, Golf Channel, Great American Country, Logo, MTV Classic, Nat Geo Wild, NBA TV, NBC Universo, NHL Network, Oxygen, Revolt, Sprout, SundanceTV, Tennis Channel, TVG. Everything in “Go Big” plus Boomerang, Chiller, Cloo, El Rey Network, Justice Central, eight Starz Encore channels (Action, Black, East, Family, Classic, Suspense, West, Westerns), Univision Deportes Network. DIRECTV Now is a streaming TV service that gives you a handful of the most popular channels watched across America. Streaming can be done through most internet connected streaming devices including smartphones and tablets. Pricing starts at $40 a month and goes up to $75 a month. Premium movie channel packages can be added as $5 per month add-ons. In most major markets and cities yes. DIRECTV Now will continue to roll out local channels as we continue to expand the service. Does DIRECTV Now include DVR service? YES! Currently each home can record up to 20 hours of recordings (cloud storage) with a storage life of 30 days. How many devices can stream service on one account? DIRECTV Now subscribers can stream a maximum of 2 devices simultaneously. Does DIRECTV Now have commercials? Yes. DIRECTV Now is just like regular TV service. The only difference is it’s being streamed over an internet connection. Does DIRECTV Now require a contract? Nope! The service is completely month to month based. A credit or debit card is required to be on file and on auto-pay every month, but your more than welcome to cancel at any time. Does DIRECTV Now require a credit check? Nope! Since the service doesn’t require our expensive equipment or installation services we don’t require a credit check. All that is needed is a valid debit or credit card. Does DIRECTV Now offer the NFL Sunday Ticket? At this time DIRECTV Now does NOT offer NFL Sunday Ticket with its service. How do I sign up for DIRECTV Now? Easy. Click the ‘Order DIRECTV Now’ button below. It’s very simple and you’ll be streaming LIVE TV in no time! DIRECTV NOW: Compatible device & browser req’d. Residential customers only. Avail. in the U.S. only (excludes Puerto Rico and U.S. Virgin Islands). Svc renews monthly (currently min. $40/mo. ), billed to payment method on file, until you cancel. Pricing, channels, features, and terms subject to change & may be modified or discontinued at any time without notice. 7-Day Free Trial: Cancel before end of trial or service renews monthly (currently min. $40/mo. ), billed to your payment method on file. Live Sports & Local Channels: Limited availability. Channels vary by package & billing region. Device may need to be in billing region in order to view. Cancellation: View, modify or cancel at any time at directvnow.com. Once canceled you can access DIRECTV NOW through the remaining monthly period. No refunds or credits for any partial-month periods or unwatched content. GENERAL: Limit 2 concurrent streams per account. Programming subject to blackout restrictions. Taxes may apply. DATA FREE TV: DIRECTV NOW & select wireless customers in the U.S. (excludes PR and U.S.V.I.). Requires eligible DIRECTV NOW & AT&T data services. Excl. & restr. apply. Content varies and must be streamed through the DIRECTV NOW App. In-App streaming does not count against your data allotments. Exclusions: App download may incur data usage/charges. Bonus Data will be provided to help cover ads and non-streaming app activity that may incur data usage. 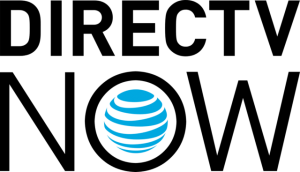 Eligible Wireless: Requires active AT&T postpaid data service on eligible device. Use subject to wireless service terms including those related to data speed. Streaming may not work at reduced speeds. Offer, functions and programming subject to change and may be discontinued without notice at any time.